The " family atmosphere" of the 2nd NZEF was one of its outstanding features. 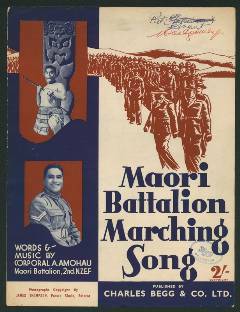 One popular branch of this family was the Maori Battalion, serving as a combatant unit as distinct from the Maori Pioneer Battalion of the First World War. The Maori were cheerfull, light-hearted, willing and full of zest. But they were stern warriors and seldom failed to gain their objectives in an attack. Out of action some of them were a trial at times to authorities. But on the battlefield at many a crucial point they did great service.